'On the last day of 1959 my father, the Beau Brummel of morticians, piled us into his green and white Desoto in which we looked like a moving pack of Salem cigarettes. He drove away from Lanesboro, the city in which we all were born, and into a small town on the Kentucky and Tennessee border. It was only a ninety-minute drive, but it might as well have been to Alaska. 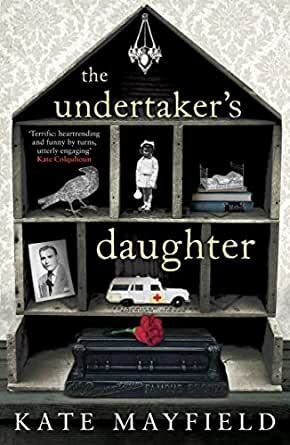 The Undertaker's Daughter" is a wonderfully quirky, gem of a book beautifully written by Kate Mayfield . Her compelling, complicated family and cast of characters stay with you long after you close the book." 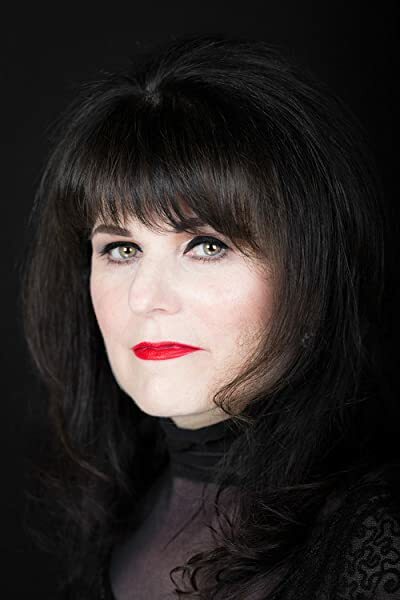 --Monica Holloway, author of Cowboy & Wills and Driving With Dead People"
Kate Mayfield is the author of The Undertaker's Daughter (a memoir) and the coauthor of Ten Steps to Fashion Freedom and Ellie Hart Goes to Work. A graduate of the American Academy of Dramatic Arts in Manhattan, Kate lives in London. A captivating memoir of an unusual childhood spent living in a funeral home in Jubilee, Kentucky during the 1960s. Highly visual with memorable characters, lashings of southern Gothic with a dash of MAD MEN in its vivid depiction of an era. The author's charismatic father is the funeral director, a job chosen in part due to his experiences in WWII; in engaging with her father's work, the author too becomes privy to the intimate details and secrets of those her father tends after death. These stories teach her about life (and death of course) and also reveal the secrets and conflict within her own family. I was particularly intrigued by the eccentric Ms. Agnes Davis, a woman who lived life on her own terms, had a penchant for red, and perhaps offered an example of independence and being true to one's self. (A less positive example of eccentric independence is her bullying sister Evelyn.) Heartfelt, funny, and moving, this is a poignant account of a time, place, and family. This is a brilliant read, I didn’t want to finish it. well written,the morbid details are good,the middle chapters about her conflicts with her sister boring. There is also a lot about her father.OK but the enthusiastic reviews are exaggerated. An interesting book, but you just want it to get going and 'give' a bit more. It just seems to scrape the surface. The Undertaker’s Daughter is an utterly absorbing and deeply moving book recounting Kate Mayfield’s childhood experiences in Jubilee, Kentucky where her father, Frank, opened a funeral parlour. This powerful and thought-provoking memoir follows the fortunes of the Mayfield family as they adapt to their new small-town life, amid local gossip, the challenges of segregation and the ever-present hostility of the ‘Old Clansmen’. The ‘characters’ are deftly drawn, with keen observations and wry humour. Through her sensitive and beautifully written narrative, Kate reveals their fragility, secrets and ultimately, their mortality, as well as the fissures in her own family life. This is a compelling and enriching read, and I would highly recommend it.